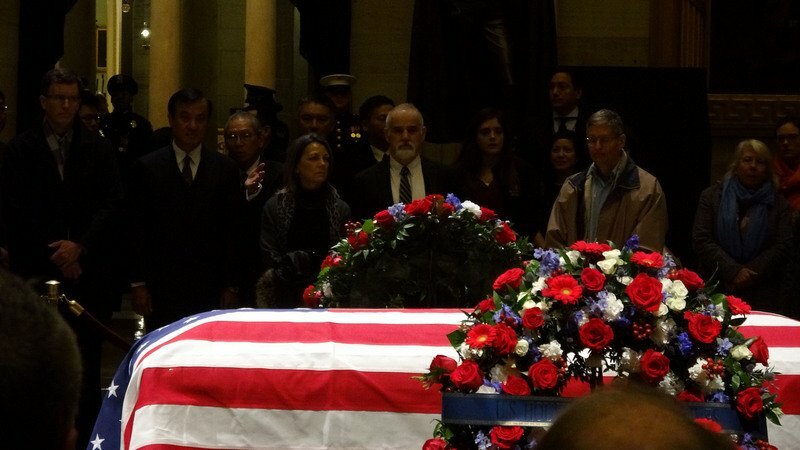 Legislature President Su Jia-chyuan attended the invitation-only state funeral of former US President George H.W. Bush at the National Cathedral on Wednesday. Su brought a message of condolence from President Tsai Ing-wen. All surviving US presidents attended the funeral, sharing a pew. Prince of Wales, German Chancellor Angela Merkel and Jordan's King Abdullah II and many world figures were there to pay their respects. The 41st US president died on Nov. 30 at age 94. He will be laid to rest in Texas beside his wife of 73 years, former First Lady Barbara Bush, as well as their daughter Robin who died of leukemia at age 3 in 1953. Wednesday was declared a national day of mourning. Many government offices and US stock exchanges closed for the day. Legislature President Su did not schedule meetings with US officials and will return to Taiwan to attend to the current legislative session.